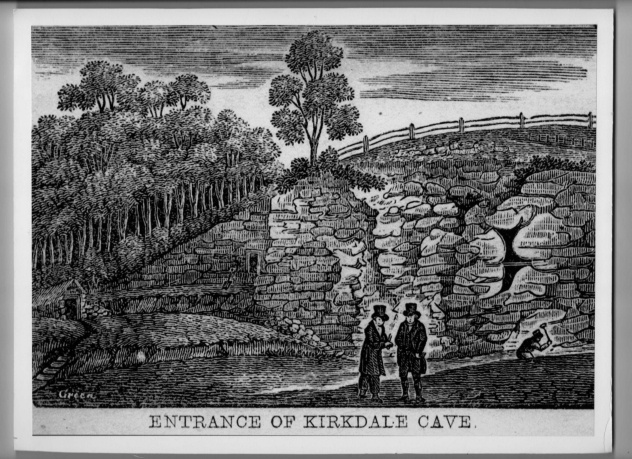 Kirkdale Cave was discovered by quarrymen in 1821 and documented by William Buckland in 1822. It had been used a hyena den and contained bones from animals such as elephants, hippopotamuses, rhinoceroses and bison from around 125,000 years ago. This was controvesial at the time as the church was of the position they were deposited by the biblical flood.